Before you get down on bended knee, you should be pretty darn sure the answer will be yes. 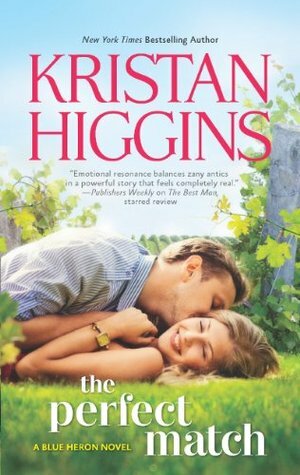 For ten years, Connor O'Rourke has been waiting for Jessica Dunn to take their on-again, off-again relationship public, and he thinks the time has come. 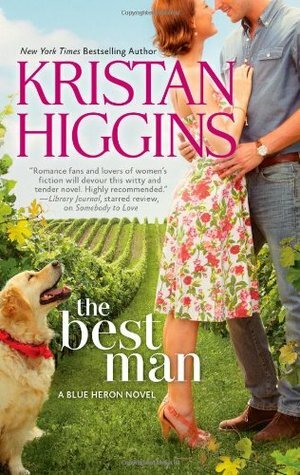 His restaurant is thriving, she's got her dream job at Blue Heron Vineyard—it's the perfect time to get married. The Blue Heron series by author Kristan Higgins is one I have been devouring many times over the past few years. All the stories are well written, with very witty dialogues and extremely funny characters. Two of them being the O’Rourke twins. Much as I love the hilarious men and women who make up the town of Manningsport, there are none better than Colleen and Connor O’Rourke. I have shared my opinion on Colleen’s love story (click my review here: Waiting On You), now here is the story of her other half, Connor. In previous books, Connor was always portrayed as someone stoic but very funny, loving yet sarcastic, hot (hubba hubba) and …uh…. Very good with his hands… because HE IS A CHEF guys! (Mind out of the gutter please hehehe). 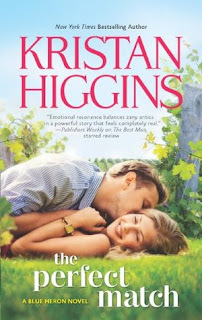 Here we finally, FINALLY, get to see the other side of Connor, his patience, his kindness and his love for one woman and one woman alone, Jessica Dunn, the woman who has had his heart since he was 12 years old. Connor is not complicated. He is a hardworking bar owner and chef who wants to get married. He has been seeing one woman for over a decade albeit secretly since the woman in question prefers it that way. Connor wants to have a family because he truly and fully loves Jessica. And while she has never uttered the words “I love you” to him, he has been the only man in her life for quite awhile. Jessica’s life is complicated. Very complicated. She practically raised herself and her brother since her alcoholic parents were less than useless. She also has a reputation since High School that never quite disappeared….she is/was Jessica Does, as in Jessica does anyone who wants some. Her life has changed for the better since getting her degree and working for the Holland family and their vineyard, and she has moved on and away from the trailer park, but a shadow has been cast and she believes she can’t be more than what she is. She also has a big burden by the name of Davey, her mentally challenged brother who happens to HATE Connor with a passion because of an incident with a dog in their childhood. So how can she plan a life with Connor when in her mind, there is nothing left to give him except for what they have occasionally? 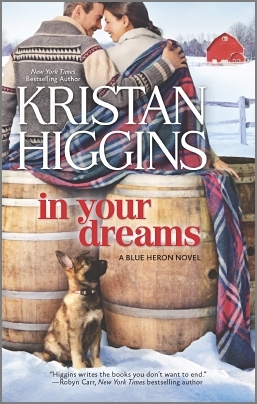 One thing you’d have to understand about the Blue Heron series is that it does happen in a small town of Manningsport and as such, many lives, many characters are intertwined. 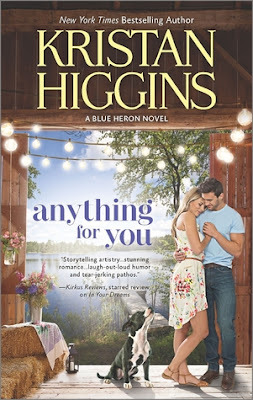 So the characters here in Anything for You are the same characters from the first four books which means a lot to readers like me because whenever I read a new Blue Heron book, I feel like I’m coming home and touching base with people who matter to me. And yes, corny as it sounds, the O’Rourkes and the Hollands matter to me a lot and I need to see their happy endings. So this book here is a gift. If Connor had not been given a good one I would have been very pissed. But as it is my entire face is smiling and I haven’t stopped rereading my copy since first receiving the ARC. In fact, I went back to read ALL the 5 Blue Heron books the past few days just because I want to. And Jessica. Her character was always the aloof one ever since The Best Man (Blue Heron book #1) and I didn’t quite know if I liked her enough. But Higgins has a way of making you LOVE her characters, even the most annoying ones, so here I was rooting for Jessica to end up with the perfect man, Connor. To fully appreciate Connor (and his magical wit), you’d first have to know where he is coming from, and to do that you’d have to fall first for Colleen….which is why you have to read WAITING ON YOU before diving into this one. Better yet, start from Book #1 for a better and clearer understanding of all these wonderful relationships and characters I am raving about. Yes, I am Raving….I love this series. In terms of romance and sense of humor, few can compare. Higgins is an author who knows her audience well. I am not yet ready to say goodbye to the good folks of Manningsport so hopefully there are a few more up her sleeve…..perhaps Ned and Sarah? How about Charlie? Heck, there’s always the next generation of the Hollands and O’Rourkes. Do I hear a yes?